Please, please accept a high-paying job with us. In fact, just swing by for an interview and we'll give you a chance to win cash and prizes. Sounds too good to be true, especially in an economy riddled with job cuts in nearly every industry. But applicants for nursing jobs are still so scarce that recruiters have been forced to get increasingly inventive. One Michigan company literally rolled out a red carpet at a recent hiring event. Residential Home Health, which provides in-home nursing for seniors on Medicare, lavished registered nurses and other health care workers with free champagne and a trivia contest hosted by game-show veteran Chuck Woolery. Prizes included a one-year lease for a 2009 SUV, hotel stays and dinners. "We're committed to finding ways to creatively engage with passive job seekers," said David Curtis, president of the Madison Heights-based company. Recruiters like Curtis may have little choice. The long-standing U.S. nurse shortage has led to chronic understaffing that can threaten patient care and nurses' job satisfaction, and the problem is expected to worsen. The shortage has been operating since World War II on an eight- to 10-year cycle, industry experts say. Each time the number of nurses reaches a critical low, the government adds funding and hospitals upgrade working conditions. But as the deficit eases, those retention efforts fade and eventually the old conditions return, often driving nurses into other professions. "We recently had a hiring event where, for experienced nurses to interview - just to interview - we gave them $50 gas cards," said Tom Zinda, the director of recruitment at Wheaton Franciscan Healthcare in the Milwaukee-area city of Glendale. "We really try to get as creative as we can. It's a tough position to fill." Recruiters across the country have tried similar techniques, offering chair massages, lavish catering and contests for flat-screen TVs, GPS devices and shopping sprees worth as much as $1,000. Even strong salaries aren't doing the trick. Registered nurses made an average of $62,480 in 2007, ranging from a mean of $78,550 in California to $49,140 in Iowa, according to government statistics. 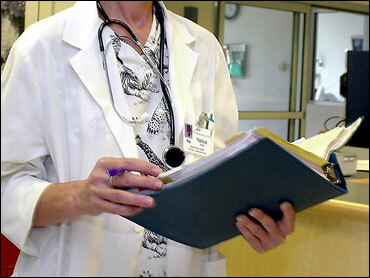 Including overtime, usually abundantly available, the most experienced nurses can earn more than $100,000. The U.S. Bureau of Labor Statistics predicts about 233,000 additional jobs will open for registered nurses each year through 2016, on top of about 2.5 million existing positions. But only about 200,000 candidates passed the Registered Nurse licensing exam last year, and thousands of nurses leave the profession each year. Several factors are in play: a lack of qualified instructors to staff training programs, lack of funding for training programs, difficult working conditions and the need for expertise in many key nursing positions. Cheryl Peterson, the director of nursing practice and policy for the American Nurses Association in Silver Spring, Md., said employers must raise salaries and improve working conditions. "The wages haven't kept up with the level of responsibility and accountability nurses have," said Peterson, whose organization represents nurses' interests. Chronic understaffing means nurses are overworked, she said, and as burned-out nurses leave the situation spirals for the colleagues they leave behind. Some hospital departments where experience is vital, such as the emergency room or intensive-care unit, simply cannot hire newly minted nurses. So managers in those areas have even fewer staffing choices. Nurses qualified to teach aspiring nurses are scarce chiefly because they can make at least 20 percent more working at a hospital, experts said. "It can be hard to turn down that extra money," said Robert Rosseter, the associate executive director of the American Association of Colleges of Nursing in Washington, D.C. Many recruiters have looked for employees overseas, and about one-fourth of the nurses who earned their licenses in 2007 were educated internationally, most in the Philippines and India. Some health organizations go out of their way to recruit as many nurses as possible even when they're overstaffed. Residential Home Health, the home-nursing company in Michigan, is always looking to hire, Curtis said. Even with 375 clinical professionals on staff, his recruiters are eager to sign up as many as 50 more nurses and therapists, hence the Chuck Woolery event. Zinda, the Milwaukee-area recruiter, said creative recruiting helps to introduce nurses to his hospital. Besides offering interviewees $50 gas cards, he has provided $100 gift cards to the local mall, and created a Facebook page to target younger nurses. Attracting good candidates is about offering good working conditions, he said, but creative recruiting goes a long way in generating a buzz. "Bottom line, you need to get people excited about what you're offering," he said. "If you don't, they can easily go elsewhere."